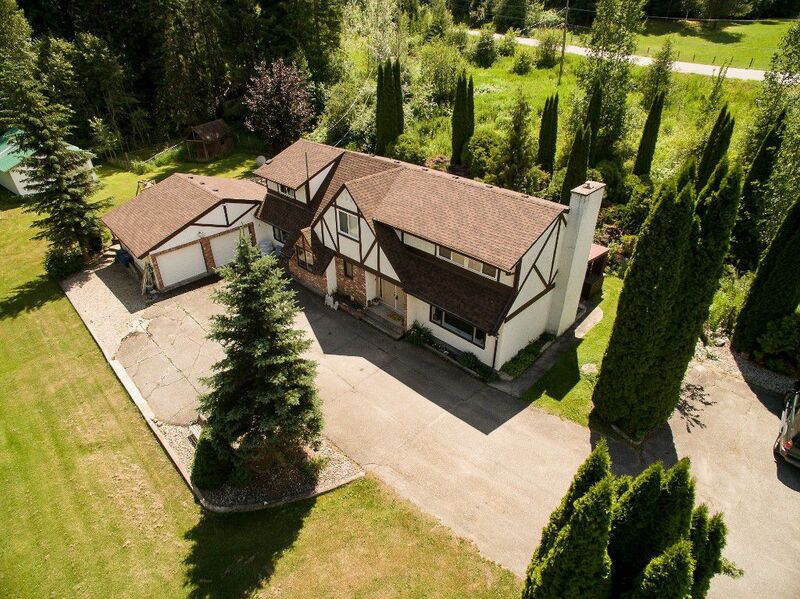 5 Acres of pure privacy in Salmon Arm's prestigious Gleneden Sub-div! 2880SqFt 2 Storey home offers 5 Bedrooms with 4 up including full master suite w/ensuite. Sunken living rm with gas fireplace, formal dining, screened in rear porch, huge kitchen w/eating area & main floor family room, laundry room & mud room. Double attached garage plus a large storage shed in backyard (new). New high efficiency furnace! There is a brand new 50 year roof! Water rights off Huntley Creek provide pristine drinking water & irrigation rights too. Property can easily be converted to host horses as there are many open, usable areas for grazing. Located only minutes from downtown, Gleneden offers acreage estate style lifestyle with miles and miles of riding trails just outside your doorstep. Also nearby is the Fly Hills Snow Mobile Club trail system. Thank-you for your interest!